Here are three super-fascinating lessons from Donald Link's new cookbook, Down South. Here are three super-fascinating lessons from Donald Link's new cookbook, Down South. 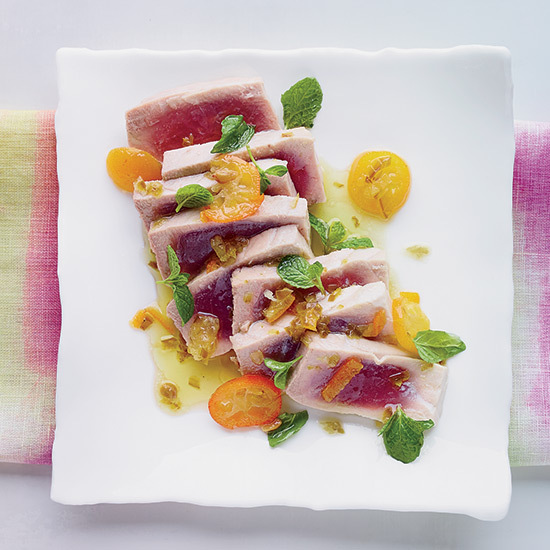 In the book, the star New Orleans chef shares his lifelong love of the South, with stories about fishing and frogging, and stellar recipes like amazingly easy poached tuna. Link folds mascarpone with sour cream and mayonnaise for his onion dip, then deepens the flavor with a splash of Armagnac, Cognac or brandy. Don't throw fish fins in the garbage: Link loves to fry them until crispy. He calls them "chips" and says they're a delicacy not to be missed. Instead of barbecue sauce, Link serves grilled chicken breasts with a vinaigrette made from black and green olives, olive oil, sherry vinegar and lemon juice.